Red Band Trailer for Michael Bay’s Pain & Gain. Mark Wahlberg, Dwayne Johnson, Anthony Mackie and Ed Harris star in the crime action comedy. 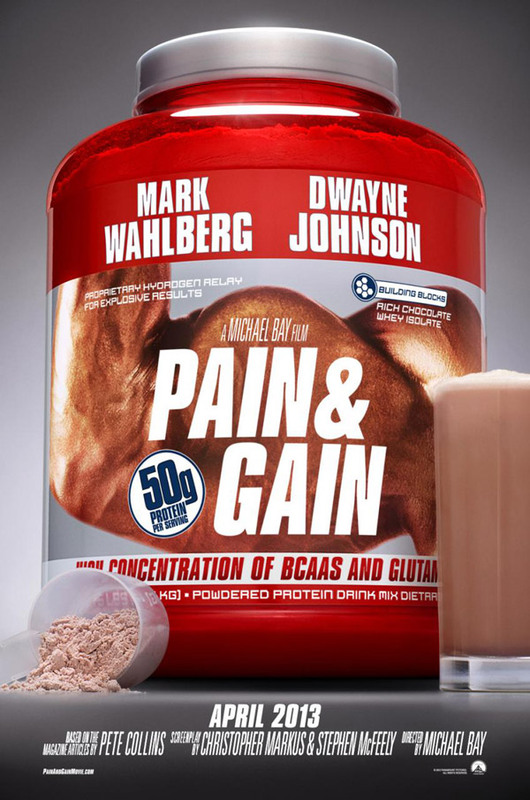 See the movie trailer and movie posters for Pain & Gain below. 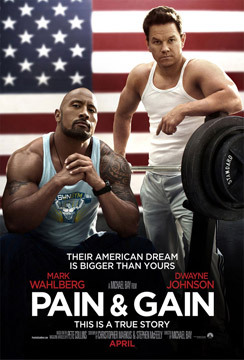 Based on a true story, the movie follows a group of bodybuilders who engage in a campaign of kidnapping, extortion and murder in Florida. 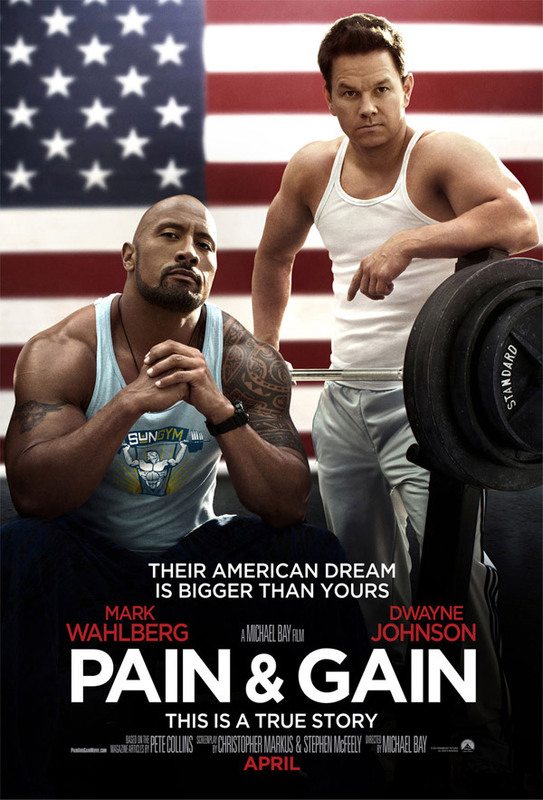 In 1999, Miami New Times published a three-part series called “Pain & Gain.” The story revolved around a gang of local bodybuilders with a penchant for steroids, strippers, and quick cash. They later became known as Miami’s Sun Gym gang and quickly developed a taste for blood and money. PAIN AND GAIN will be directed by Michael Bay and will star Mark Wahlberg and Dwayne “The Rock” Johnson. Production is expected to begin in early spring, the movie’s producers include Bay, Donald De Line and Ian Bryce.